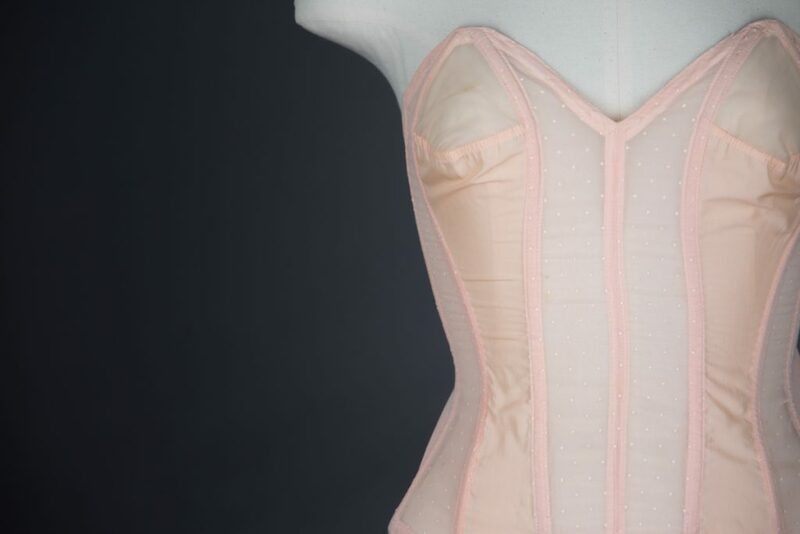 This Cathedral style corselet (so named for the bone structures resembling the arches within cathedrals) uses a mix of nylon based fabrics: a woven nylon with printed polkadots, a lightweight mesh and an elasticated mesh. 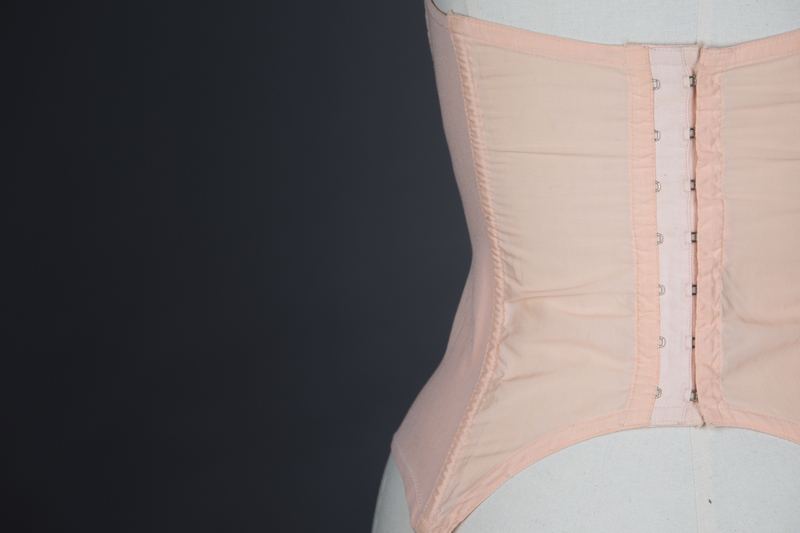 Cotton interior bone channels encase spiral steel bones. 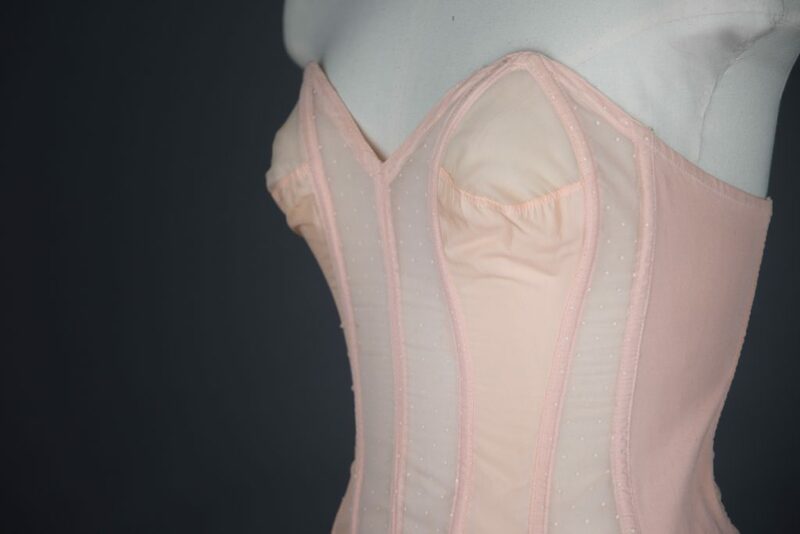 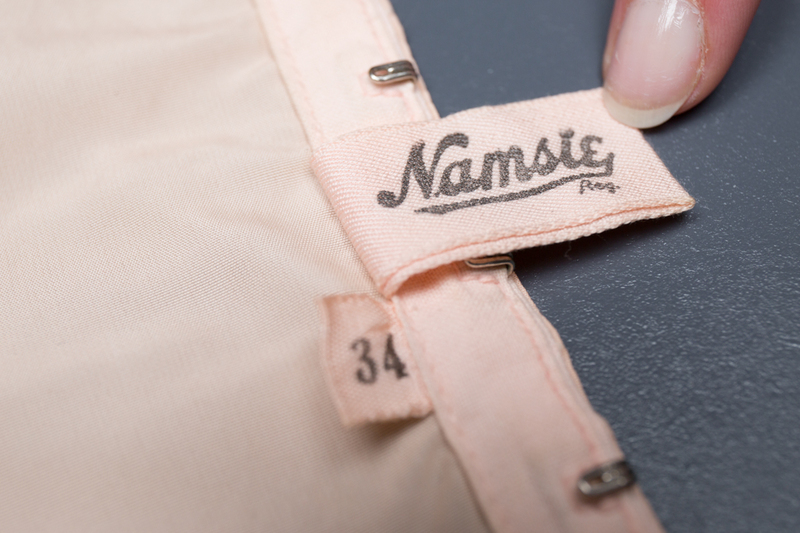 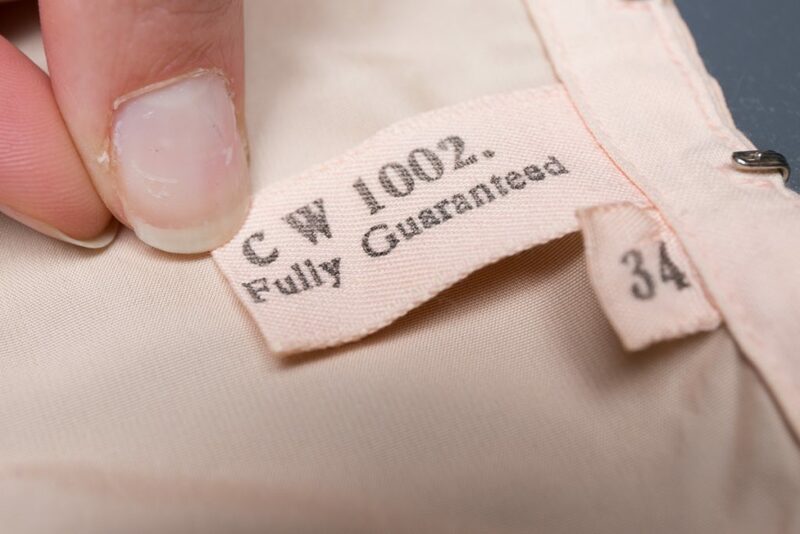 The cut of the bra and boning help the bustline to form a lifted and separated shape, with a gentle point (in line with the idealised fashionable silhouette of the 195os), whilst gently nipping in the waist line. 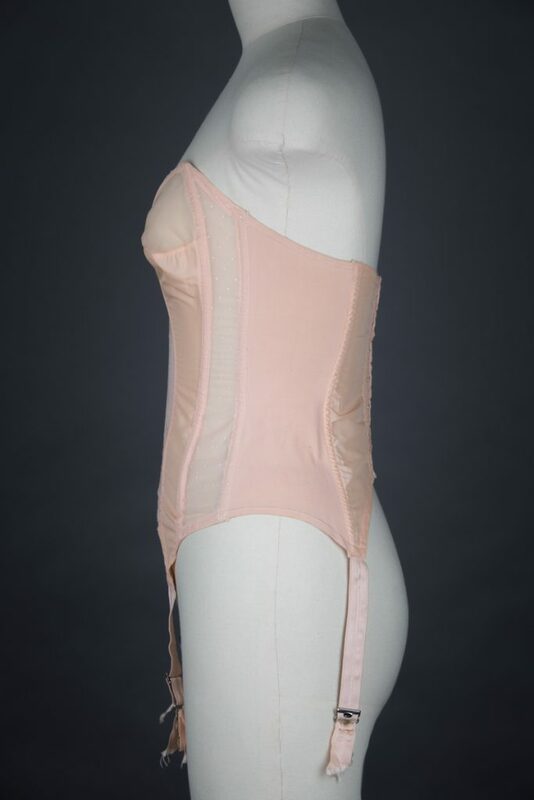 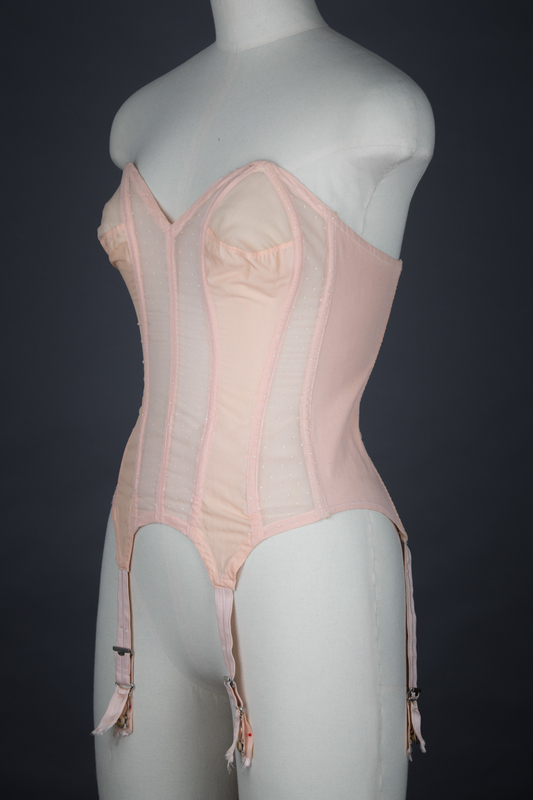 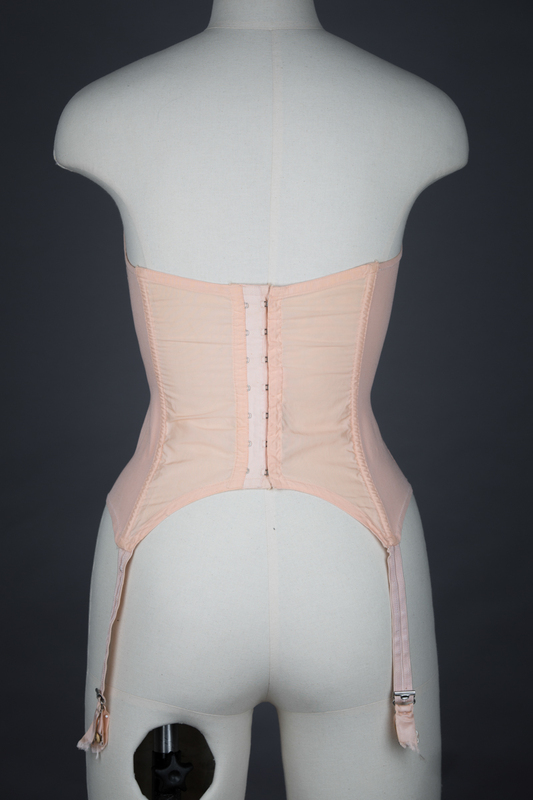 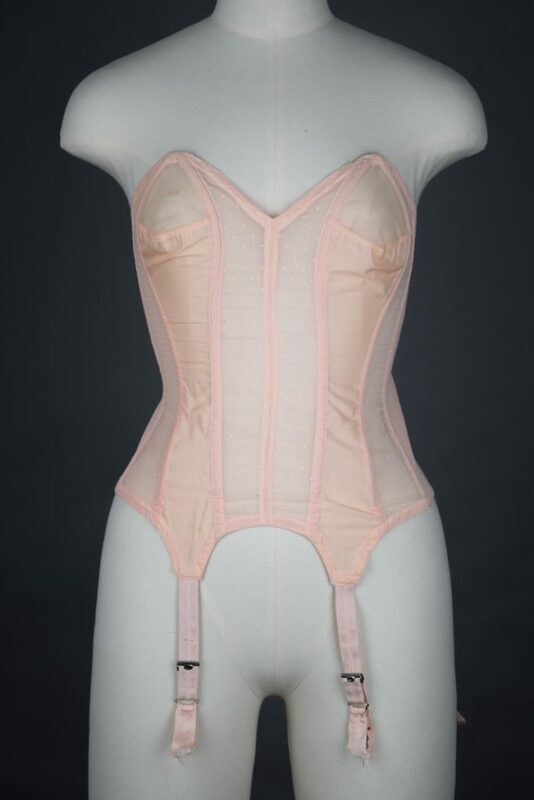 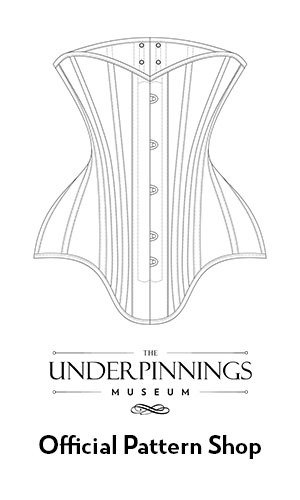 The corselet fastens with hooks and eyes at the centre back, with the elasticated panels giving the garment a flexibility of fit and greater comfort than entirely rigid shapewear.